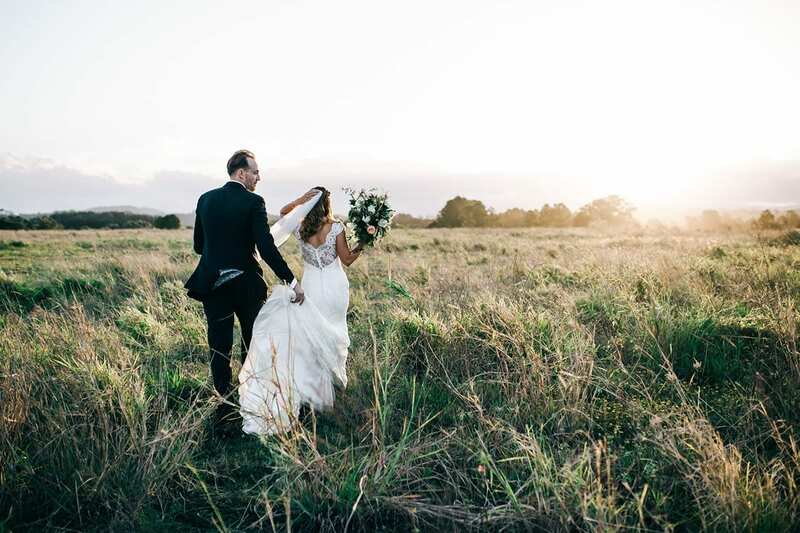 The gorgeous couple, Katie and Kurt married at the garden-style venue, Osteria in Northern NSW. The overall feel was lovely, light and fresh to match the garden surrounds. Katie wore the Skyler gown by Augusta Jones. Finished with french lace and a delicate sequin shimmer, Katie looked simply beautiful in this flattering dress. The sheer lace back of the gown adds a stunning element of detail. As Katie walked down the aisle, soon-to-be-husband, Kurt wiped away a few tears. The unstoppable smile on Katie’s face said it all – this was the best day of their lives! The afternoon turned to evening as the guests celebrated with dinner and dancing.